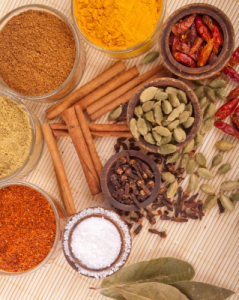 Lets see some Medicinal uses of the spices that are available in every kitchen . 1. Asafoetida ( Hing ) – Hing helps in curing toothache and Indigestion. For Toothache apply half gram of Hing on the affected tooth to get relief in pain. For Indigestion take small pinch of powdered hing with warm water . 2. Cardamom ( Elaichi ) – Take 4-5 cardamom seeds powdered with warm water 3 times a day to get rid of Gas troubles. 3. Black Pepper ( Kali Mirch ) – It helps in curing common Cough and Cold problems, Mix it while preparing tea , you can additionally add jaggery (gur ), Cloves (laung ), Javitri , Holy Basil Leaves ( tulsi ) in tea for relief. Remove spinach leaves from stem and wash the leaves in a bucket or bowl then ,Take 2 glasses of water and some salt in the pressure cooker and boil it till 3 whistles then take the spinach out and cool it for some time after that put the leaves in the mixer and make it into a smooth paste . 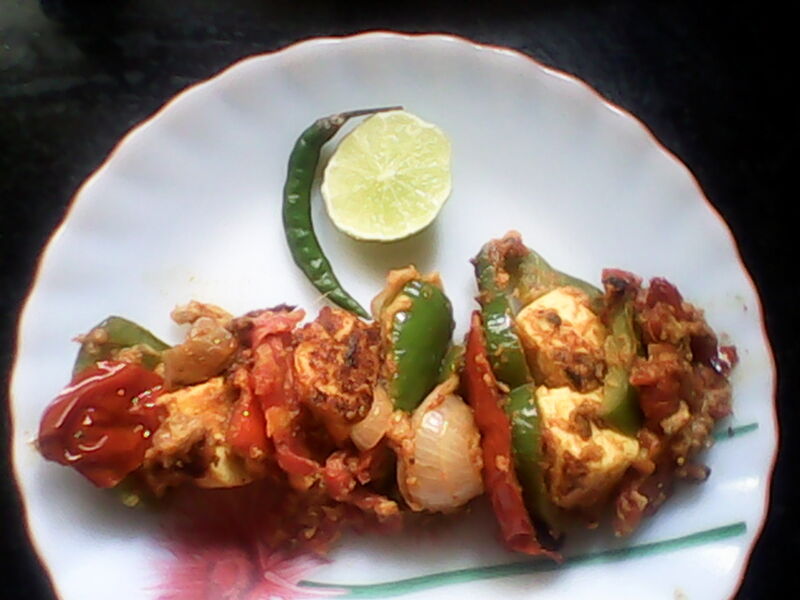 After this in a kadhai put some oil and fry the paneer cubes after cutting them into dices, take them out on a plate and let the oil be in kadhai now put some dried red chilli , cumin seeds, kasuri methi and let the jeera crackle ,now add garlic and onion paste and saute well. Now add sliced tomato and let it cook for 5-6 minute on medium heat, along with spices like turmeric powder, red chili powder, coriander powder, garam masala and dry mango powder, let it cook further for another 5 minutes. after this add the spinach paste into this and stir well. 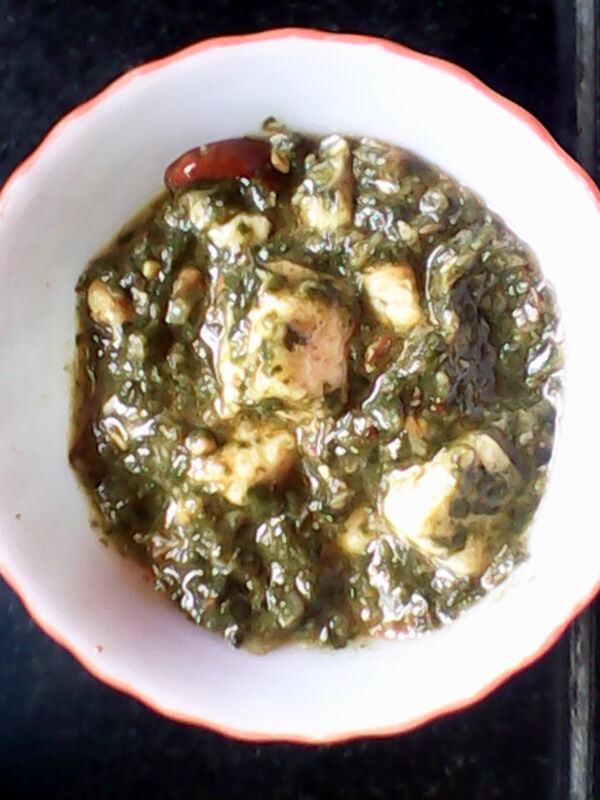 Now after 2 minutes of cooking add the fried pieces of paneer and mix it well, if needed put some salt if required because spinach alredy contains salt when it was boiled. let it Cook covered on low heat for 4-5 minute. Take it out in a serving bowl and garnish with fresh cream or ghee. To add more flavor you can add some drops of lemon juice. In a heavy bottomed pan on medium heat, roast suji for some time till little golden ,take this aside and let it cool for some time now in the same pan pour 2 tbsp of Oil. Allow it to heat and then add Mustard Seeds, Once they start popping, add some curry leaves and keep rest for last , Cook for 30 seconds and add chopped tomato, onions, green chillis , carrots and spices like red Chili powder, Turmeric Powder and coriander powder a pinch. Saute all the vegetables and spices till cooked not brown. add salt . Mix some Yogurt with the Water in a bowl and pour into the pan. Keep mixing, till it comes to boil, lower heat and add small amounts of Suji one by one, keep mixing it and make sure there are no dry lumps of suji. Now Cover and cook for 2-3 minutes. Open the lid and mix and fluff up the Upma. Turn the flame off, cover and allow it to rest for another 5 minutes. 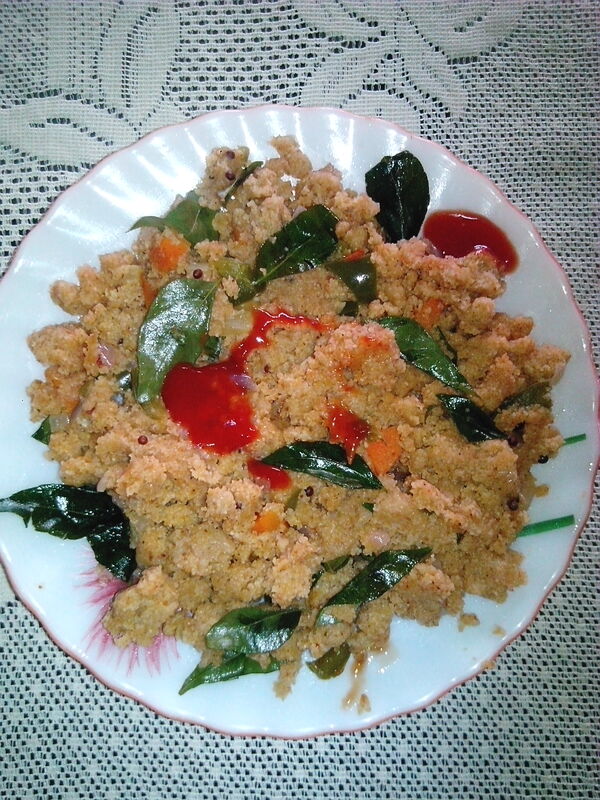 You can add Ketchup or coconut chutney with upma and enjoy it with tea. Ideal meal for breakfast or evening snack. In a large bowl mash potatoes and add chopped onion, capsicum, carrot, green chillies, coriander leaves, bread crumbs, cheese slices, butter, cornflour , red chilly powder , salt, amchur powder . 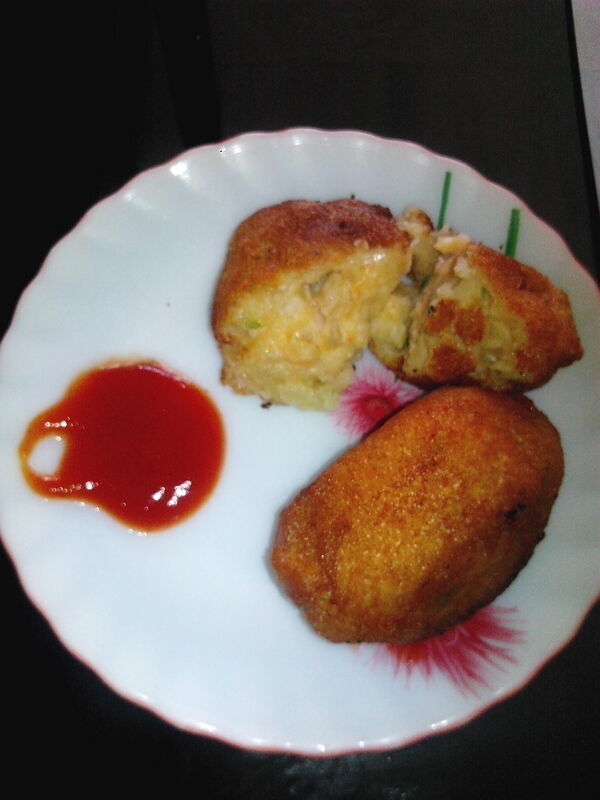 now mix and mash them with light hand , dont make it like a paste, let it be some thick , now make small balls of this mixture and roll them onto the cornflour in the plate to bind them a bit. make as many balls as you can form the mix . Now heat oil in a kadhai , after heating slowly put the balls into the oil and fry them till golden brown or light brown . continue with all the cheese balls . take them out and sprinkle a little chaat masala over the veggie cheese balls. serve hot with ketchup and tea, a great starter or a tea time snack. 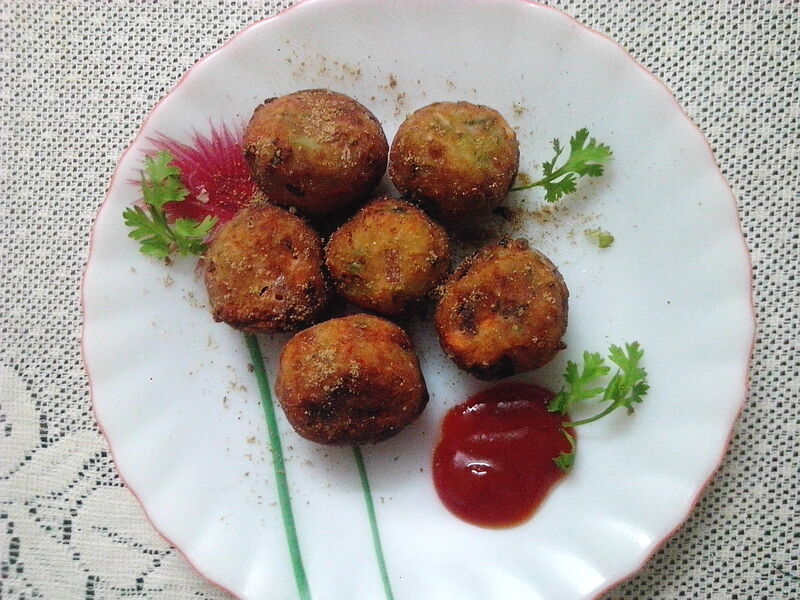 here’s the recipe for spicy Aloo tikki..
Boiled Chana Daal ( bengal Gram ) handful. Boil the potatoes and mash them completely, then add chopped onion, coriander leaves, green chilli and the spices red chilli powder, garam masala, salt, amchur powder and bread slices into the bowl and mash the potato and bread and mix it well . dont make it like a paste but a smooth mix . Then make small balls of the mixture and fill some chana daal in between them then roll again and press them to flatten a bit. Coat the flattened tikkis with bread crumbs or you can also use maida ( cornflour) . Heat 2 tsp of oil in a pan and place the tikki’s and cook them till they become golden brown turning and tossing them time to time, cook till they become golden brown .Repeat the same with all the tikki . garnish with coriander chutney, imli chutney , some chopped onion and tomato and you can add some curd for the real roadside tikkiwala taste. also you can add some chole to this to make it more spicy and tasty. You can eat and enjoy this with bread also by keeping it in between two bread slices and eat with sauce. In a bowl, mash the boiled potatoes add cheese ,chopped onions, green chillies ,ginger, coriander leaves, red chilly powder and coriander powder and salt and mix and mash this in the bowl with hands . it will mix finely then. Then take a plate and pour some water into it, take our bread slices and soak the bread in the water and press them between hands so all water goes out, be careful not to squeeze it much and let it be in its original shape , then with a spoon take potato and cheese filling and put it over the bread and slowly wrap the bread around the filling closing it from all the sides like a roll . make as many you want in the same way and keep them aside on a plate. Now in a pan or kadhai heat oil (refined or mustard ), and simmer it when heated , now slowly and carefully put the rolls into it as many as 2 or 3 at a time depending on the size of your kadhai or pan . Now keep frying them until brown . take them out onto a tissue paper . 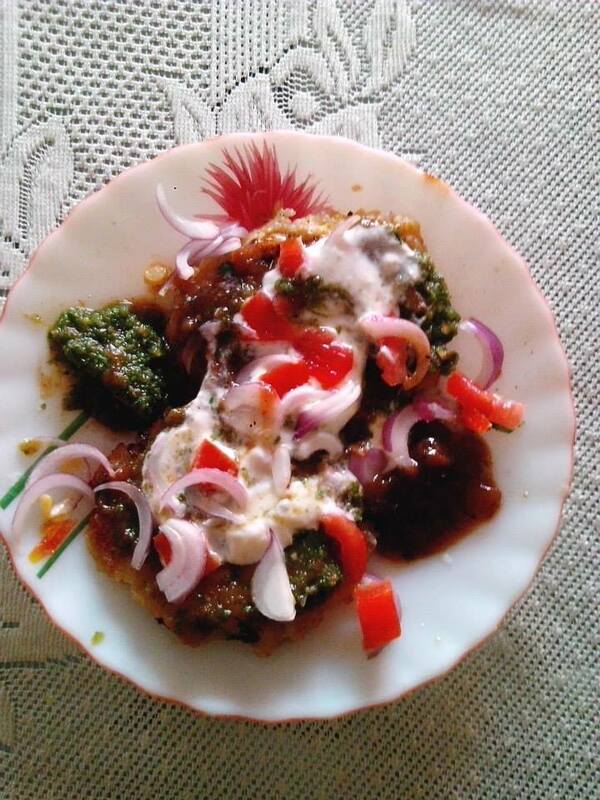 serve hot with Sauce or green chutney . 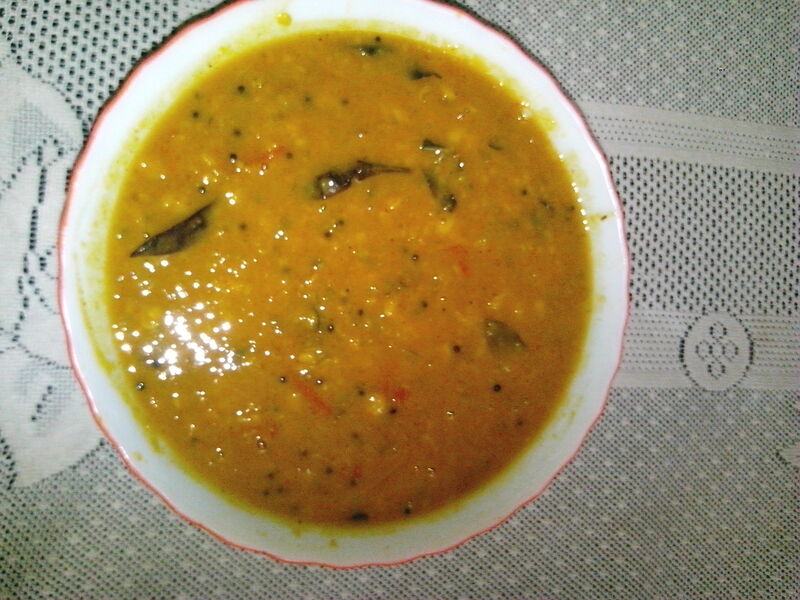 Boil arhar dal in pressure cooker with a pinch of salt and turmeric powder. after 3 or 4 whistles take it off . Now in a kadhai heat oil and put sarso seeds and dry chill is when a bit cool, and cook all the vegetables – onion, tomato ( you can add boiled bottle gourd pieces or drumsticks as per choice ) and cook it on a medium flame. add chilli powder amchur or tamarind juice to this mixture cook till the tamarinds rawness goes away then add the boiled arhar dal from the cooker into kadhai , mix it well and then add salt and curry leaves into this and cook for 6 or 8 minutes. Its optional to add sambhar masala if reqd or else this is more than enough to give the real taste of sambhar. serve it with rice and papad or even idlis.